In this festive period, we have been asked out to various families for drinks, or the kids out to parties. And the question always is what to give people in a period of giving. So yesterday, the kids and I spent a happy day making sweets, much as we have done before. So there was a kitchen full or sugar, ground almonds and the smell of chocolate. Our clothes were covered in the light white snow of icing sugar and there was a healthy crunch of caster sugar beneath our feet on the kitchen tiles. But why bother, when you can buy sweets in the shops. And where they are way cheaper as well – excluding the ingredients, our time would cost each sweet at about 50p, and that’s sweet and not box of sweets. The answer is in part that they taste much nicer as we use better ingredients like organic Fairtrade sugar, and are much more generous in the luxury components like chocolate and vanilla. But also, it is the giving of our time. In an age where everyone claims to be so time poor, giving excuses like I am far too busy to play with my children or cook a meal from scratch or to make sweets or bake, what is more generous than giving over some time to make something for friends and family. And they taste pretty damn delicious as well. Think if I were a hedge fund manager or big corporate fat cat, I could perhaps even get the cost per sweet up to £18 or more per chunk of fudge – think how generous my time would be then. So I say, please give some time and make something for your friends and family and show how generous you can be by releasing some of your precious time to show how much you love and care. Enough of that and down to the nitty-gritty, we made marzipan kugeln (or marzipan balls dipped in milk chocolate), peppermint creams (shaped as circles and stars and dipped in chocolate), milk chocolate shapes (Merry Christmas tablets, santas and stars), vanilla fudge and chocolate fudge. There was something about the fudge that made it extra soft and velvety this year and less crystalline and tablet like. I think it was the patience and extra diligence over the stirring, but it could just have been the recipe, which was tweaked for the ingredients I had to hand. Prepare a tin, by lining the base with some baking parchment. We use a 2cm (½ inch) deep pan that is 30cm by 20cm (12 inch x 8 inch). 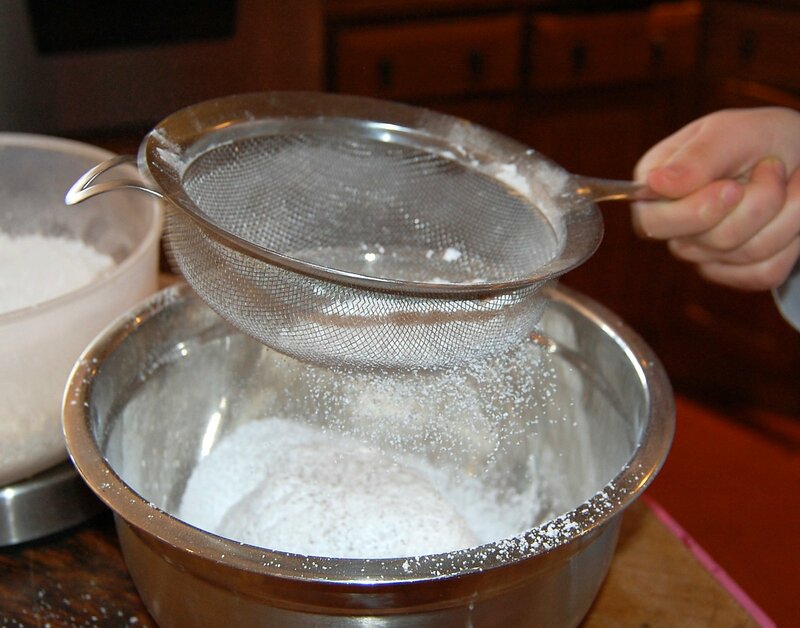 Put the caster sugar, unsalted butter, evaporated milk and cold water into a heavy bottomed pan. Put the pan over a medium heat and with a wooden spoon stir the mixture until it is fully dissolved. While the sugar mixture is melting, melt the milk chocolate over a pan of boiling water, then when melted switch off but keep warm by keeping over the pan. Turn up the heat a tad and let the sugar mixture boil rapidly, stirring consistently all the while. When the mixture reaches the soft-ball stage (114C/238F), remove from the heat immediately. I reckon this part takes around 20 minutes, but many books seem to claim it is much quicker. 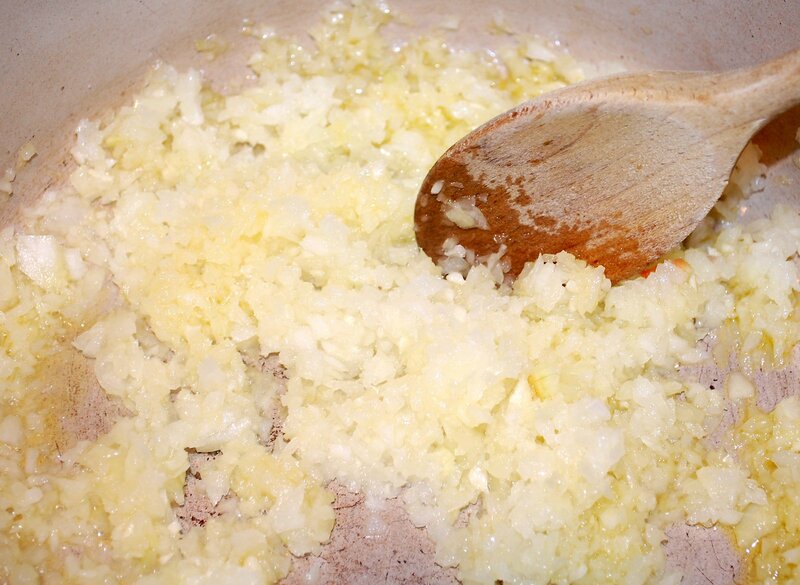 Now you need to vigorously stir the mixture until it starts to thicken and begins to become rough – this takes 10 to 15 minutes and is quite tiring on the old arms. Pour the fudge mixture into the baking tray, smooth over with a spatula. Then using a sharp knife, cut the fudge into whatever sized cubes you want. Leave to cool for 3 hours, then turn out of the baking tray, break off the fudge pieces, eating a few along the way to ensure the taste and texture are spot on, then put into an airtight container or some pretty gift boxes for pressies.